How do I price my jewelry? 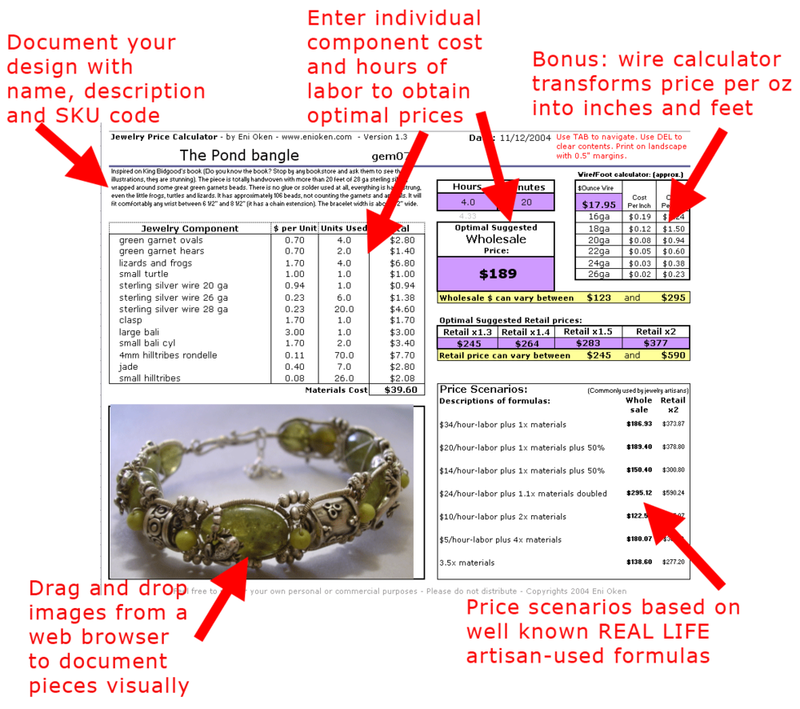 This tool helps you to answer the eternal question: how do I price my jewelry? 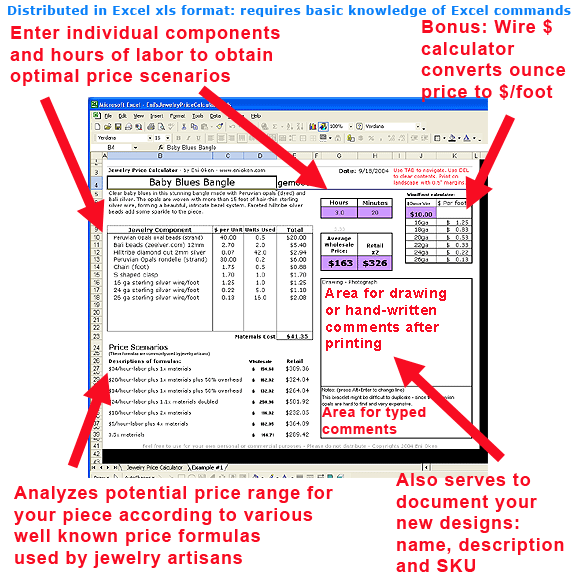 This easy to to use Excel worksheet allows you to input hours of labor and components costs, giving results in 7 well-known price scenarios used by jewelry artisans AND offering optimal suggested wholesale and retail prices. Requires Excel (2002 or better) and very basic knowledge of Excel commands. Works with both Mac and PC, as long as you can open an XLS file (Excel, Web browser or Mac Numbers). Available as a Downloadable Excel xls file sent to you via email. 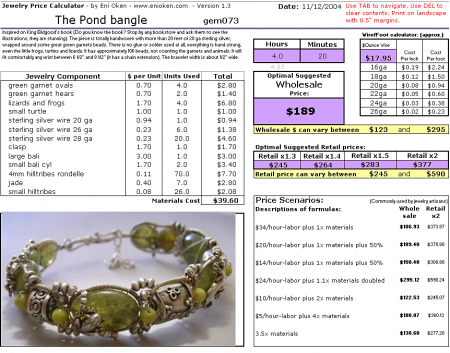 Click and DRAG the tab called "Jewelry Price Calculator", located at the lower left corner of the calculator. You will see a small sheet of paper on the cursor. Press the CTRL button and you will see a small plus sign inside the sheet. Let go and a duplicate of that worksheet will appear! 1) Click with the RIGHT BUTTON of the mouse on the lower left tab named "Jewelry Price Calculator". A small menu will appear, select "Move or Copy". 2) A small dialog box will open. Make sure the option "Create a copy is selected". 3) A new tab called "Jewelry Price Calculator (2)" will appear. Click with RIGHT BUTTON of the mouse again, and this time select "Rename". 4) Type the new name of the new Worksheet. Now you can keep all your calculations in the same workbook. This is especially useful if you have similar products or want to compare different alternative solutions to pricing a piece.